Even the most lethargic of souls can be stimulated by the rousing energy of a November 6 person. Those born on this day are generally either invigorating personalities by nature, or involved in creating a stimulating and enthusiastic environment for themselves and others. At any rate, November 6 people surely get the blood flowing. One reason why November 6 enthusiasm is so infectious is that it is not of a superficial variety, but springs from a deep place. Well-grounded in technique, fact, self-assurance and conviction. November 6 people display a profound belief in their abilities as well as their chances of achieving success in this world. ADVICE: Beware of your effect on others; find a way to mute your energies while still being you. Allow yourself to be less dense and more transparent so others can see the light in you. Learn how to handle disappointment. BORN ON THIS DAY: John Philip Sousa, Adolph Sax, Sally Field, Dr. James Naismith, Julian II, Mike Nichols, Aaron Hernandez, Ray Coniff, Maria Schriver, Edsel Ford; Source: The Secret Language of Birthdays Gary Goldschneider & Joost Elffers. MEDITATION: We are given eyes to see and ears to hear, but what is required of the mind? ACE of Diamonds: The Card of DESIRE for MONEY and LOVE: The inherent passion in this card can be expressed in a variety of ways but it always seems difficult for them to have both money and love at the same time. Perhaps this is because there is not enough energy to acquire as much as they want of both. In any case we find these people striving to attain one or both most of the time. They are often loners in spite of their desire for love contact. They can be impatient and mercenary, or they can be the greatest givers. These people are creative and capable of working two jobs at once. They meet new people every day and much of their good fortune comes from these meetings. Romantically, they are often indecisive, or they attract others that have difficulty making decisions. They like to be away from their loved ones for periods of time. All of them are inclined to be psychic. If money or power does not take top priority in their values, they can have lives of great satisfaction and accomplishment. Your Karma Cards are the: Two of Diamonds - You owe something to this person and they reflect you in some way. Ace of Hearts - This person owes you and you are their mirror in some way. 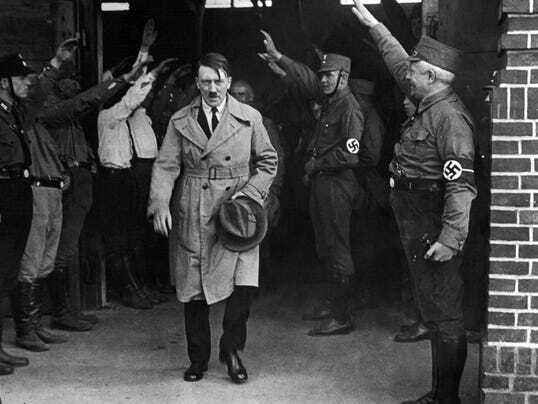 FAMOUS ACE of Diamonds: Adolf Hitler was an Austrian-born German politician who was the leader of the Nazi Party, Chancellor of Germany from 1933 to 1945, and Führer of Nazi Germany from 1934 to 1945. April 20, 1889, Braunau am Inn, Austria. 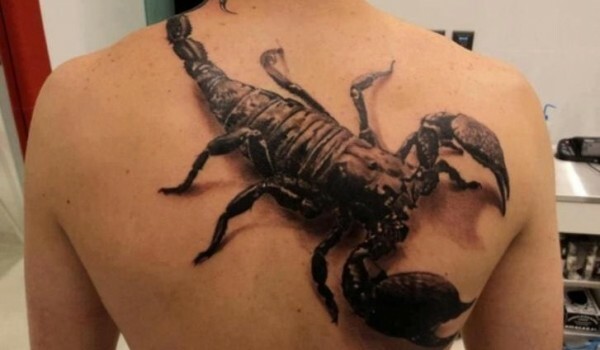 SCORPIO II NOTABLES: Marie Curie, Hedy Lamar, Fyodor Dostoevski, Yanni, Sally Field, Tatum O'Neal, Richard Burton, Roy Rogers, Elke Sommer, Shah of Iran, Edsel Ford, Mike Nichols, John Philip Sousa, Will Rogers, Roseanne Barr, Art Carney. Source: The Secret Language of Relationships Gary Goldschneider & Joost Elffers. November SIXTH the Day of ROUSING VIGOR: is blessed with two Ego's, first is the THREE of Clubs "The Writer's Card" and the QUEEN of Spades "The Card of Self-Mastery." Threes are natural born worriers, so November 6 people trump any doubts they may have, confident in their Self-Mastery of their art.